Land Rover BAR is committed to a sustainable path in its challenge to win the America's Cup. Together with the support of its Exclusive Sustainability Partner, 11th Hour Racing, the team are creating a new blueprint for the sustainable operation of marine companies and sports teams. On Monday and Tuesday, 7th and 8th December, the team had the opportunity to present some of its work, research and ideas to many of the sailing world's top sailors, marine designers and engineers at the World Yacht Racing Forum (WYRF) in Geneva. On Monday, Project Manager, Michel Marie presented the results of the team's investigation into the sustainability issues surrounding the use of carbon fibre in marine manufacturing. The investigation was conducted during the summer, across three separate areas. Analysis of the life cycle of our Testing Boat – T2 – docking RIBs and a concept foiling chase boat. Assessment of alternative and recycled carbon fibre materials and resins, including the construction of test panels for evaluation. Carrying out mechanical testing and testing of the recyclability of a 'recyclable' resin. Michel Marie highlighted the main findings to the WYRF audience:The life cycle model is the first step in a full Life Cycle Analysis tool that can be made available to the industry to help designers assess the impact of different materials in the construction, use and decommissioning of boats. 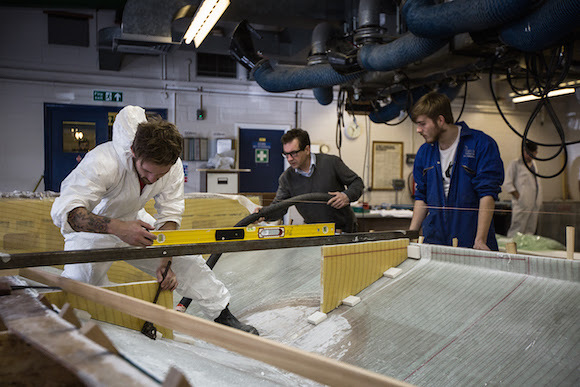 A database of over 170 materials used in the manufacture of composite boats has been developed including materials, alternative resins and fibres, consumables, energy and transport. More sustainable materials offer a realistic option to conventional materials. In the construction of the team's Docking RIBs total emissions from the manufacture were reduced by 35%, a saving of about 1.5 tonnes of CO2. Flax fibres are an example of a more sustainable material, successfully used in the Docking RIB, the CO2 resource that they embody is 95% less than carbon fibre. 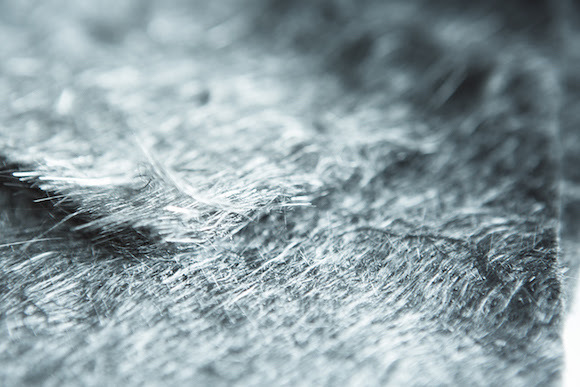 Carbon fibre was successfully recycled from its resin composite in a test process that has significantly lower energy than the alternative of pyrolysis. The team's efforts in reducing its own manufacturing carbon footprint will be focused on the moulds that are created to build the main beams and hulls. These offer a great opportunity for savings in resource. On Tuesday, Dr Susie Tomson, Land Rover BAR's Sustainability Manager presented an overview of the team's approach and work in its first full year of existence. The team were awarded the Olympic-inspired international standard, ISO20121 for the management of the sustainable operations throughout their activities. Other work included the design, finance and construction of a new home in Portsmouth, England where sustainability principles were embedded to meet the BREEAM excellent standard. The team launched their Official Charity, the 1851 Trust, and 70 apprentices helped to build two docking RIBs. Dr. Susie Tomson commented: "Our approach to sustainability is about delivering more than just a winning sailing team. It is about using our design and innovation expertise to deliver new ways of working, providing longevity for those future generations whether that be setting a blueprint for manufacturing efficiency, or closing the loop around the use of composites." Further information can be found in the Land Rover BAR case studies below, and found at: www.landroverbar.com/sustainability.